Catching sweets at the carnival procession can be dangerous. Not only are there sweets and other things flying through the air, but if you do manage to catch something it might get snatched out of your hand. Even if you are only watching the procession go by, there’s no guarantee that your neighbour will not knock you over with their over-sized handbag. And I’m only talking about the adults! 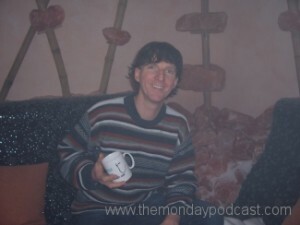 This week the Monday Podcast visited the Salt Lounge in Oberursel. The salt lounge is a place that people can go to, in order to relax and enjoy the salt air. There is one grotto for families and other for business people. We talked to the owner Sven Warth about how he came up with the idea, why people go there, and where all the salt comes from. ELENA stands for Elektronischer Entgeltnachweis and was introduced in Germany at the beginning of 2010. Companies now have to report details about their employees on a monthly basis to a new Government agency. These include their wages, but also the number of days holiday or even on strike that they had.